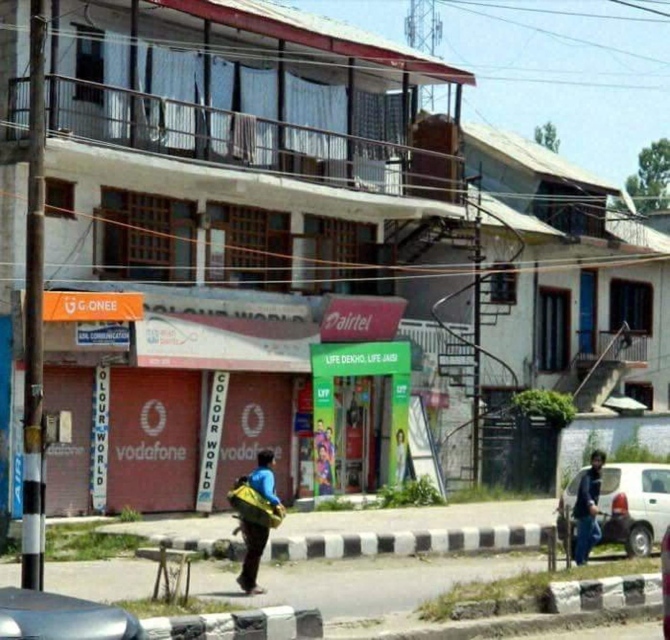 Security agencies on Sunday claimed to have identified one of the militants on a CCTV footage as Junaid Matoo, a local resident who joined banned Lashker-e-Tayiba last year, and was allegedly involved in Saturday’s killing of two Jammu and Kashmir police personnel at a bus stand in Anantnag. The CCTV footage showed two youths carrying AK assault rifles at Khanabal-Pahalgham road, 52 kms from Srinagar. While one was standing near the car, another was seen carrying a bag and walking upto the vehicle. Official sources said that one standing near the white car was identified as Junaid, a resident of Khudwani who had left his home in June last year when he was 18. After activating its human intelligence network, police found that he had joined LeT in September last year. Since that day he has surfaced on Saturday for being part of the team that allegedly was involved in killing of two policemen Assistant Sub-Inspector Bashir Ahmad and Constable Reyaz Ahmad at Anantnag bus stand, the sources said. Banned Hizbul Mujahideen has claimed that its boys were behind the killing of three Border security Force personnel on Friday. "The local groups are quick to take responsibility as they want to give every terror act an indigenous colour," a senior police official said. The militants had ambushed a BSF convoy at neighbouring Goriwan area at Bijbehara in South Kashmir killing three of its personnel. South Kashmir, which has witnessed a number of encounters and killings in the first five months of this year, has traditionally been a politically sensitive area of the valley and is fast turning into a virtual breeding ground for militants with many youths joining their rank and file or becoming their sympathisers, security agencies said. Over a period of last one year, the terrorists have established a better intelligence network which includes assistance of local people besides ensuring heavy turnouts at the funerals of militants and stone-pelting on security forces even during encounters, they said. The area sees slogans written favouring ‘independence’, support to terror groups and glorification of militants killed in encounters with the security forces. While figures for this year were still being collated, intelligence reports suggest that 17 youths from some villages of Kulgam, Pulwama and Tral areas had disappeared and believed to have joined militant ranks. The worst-hit areas are Heff-Shrimal in Shopian district, Samboora, Lillahar, Pulwama town and Tral of Pulwama district, Qaimooh and Khudwani in Kulgam district and Redhwani in Anantnag district. The intelligence network of the militant groups, which had been hit in the mid-1990s, is understood to have revived again and the terrorists now get to know about the advancement of security forces, giving them enough time to flee from the area, the officials said. Having a population of over 23 lakh, South Kashmir is also considered the bastion of Jamaat-e-Islamia group and have been known to support the Peoples Democratic Party . The now defunct Muslim United Front of late 1980's, many of whose sympathisers had picked up guns in 1990s following alleged rigging in 1987 elections, was also set up in South Kashmir. IMAGE: This photograph purportedly shows two militants carrying AK assault rifles after they had attacked a police party at Anantnag, 52 kms from Srinagar, on Saturday killing two police personnel. Photograph: PTI.